Fences demark full separation between spaces in the landscape. 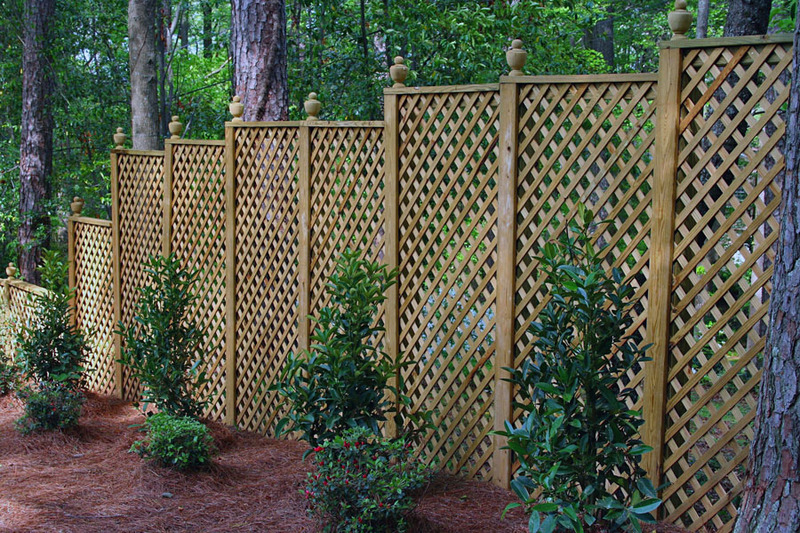 Fences can be made of many materials from wood to wrought iron to aluminum, PVC, fiberglass, brick, stone or even bamboo. Fences should reflect the architectural style of the property as well as invoke a sense of place to the garden space that is being defined. Generally speaking, fences can be either privacy fences which are visually solid or perforated fences which allow views through to the other side. 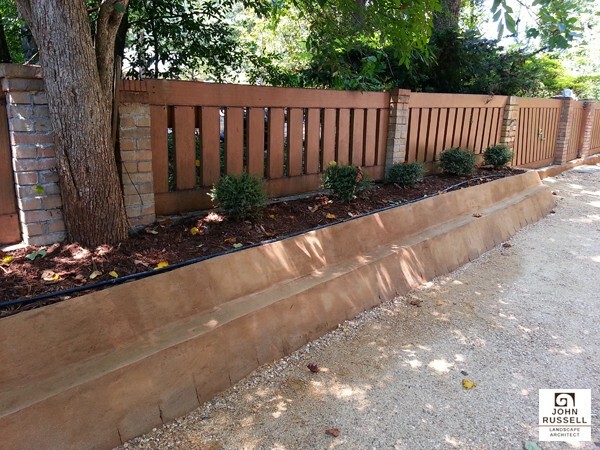 The choice of solid versus perforated is dependant upon privacy needs at the fence location. 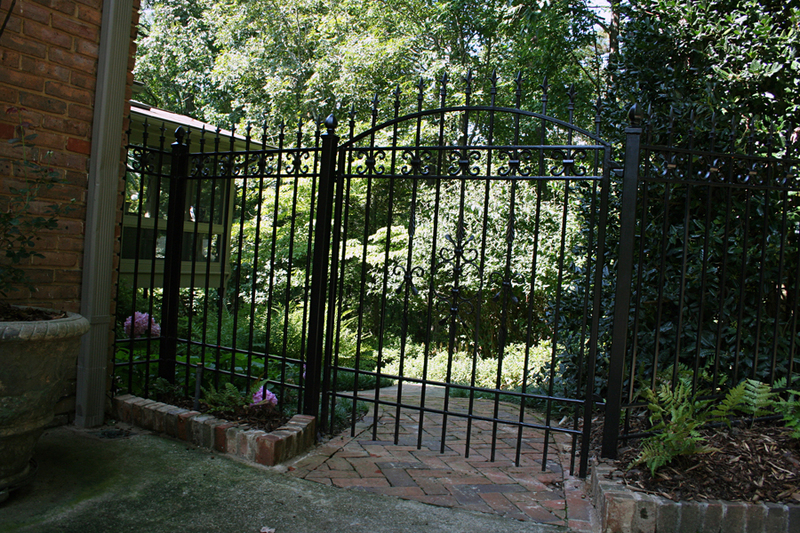 Gates are points of transition in the garden. These are often made of wrought iron, aluminum or wood, but can be made of many other materials. 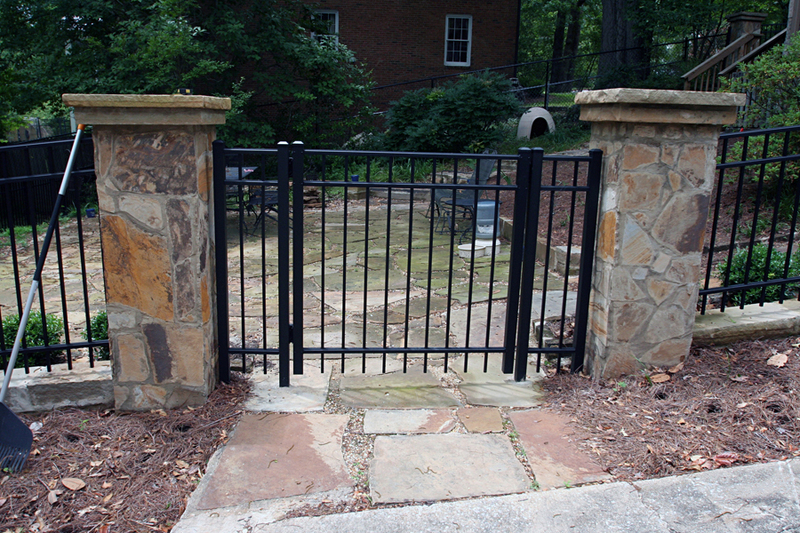 Gates can either be inviting or foreboding and should reveal something about the space about to be entered. 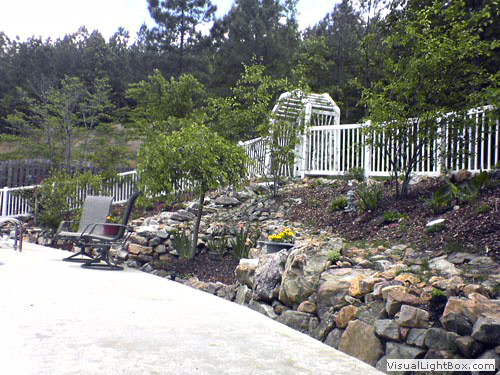 Many times an arbor or archway is used at this transition to further enhance the experience. 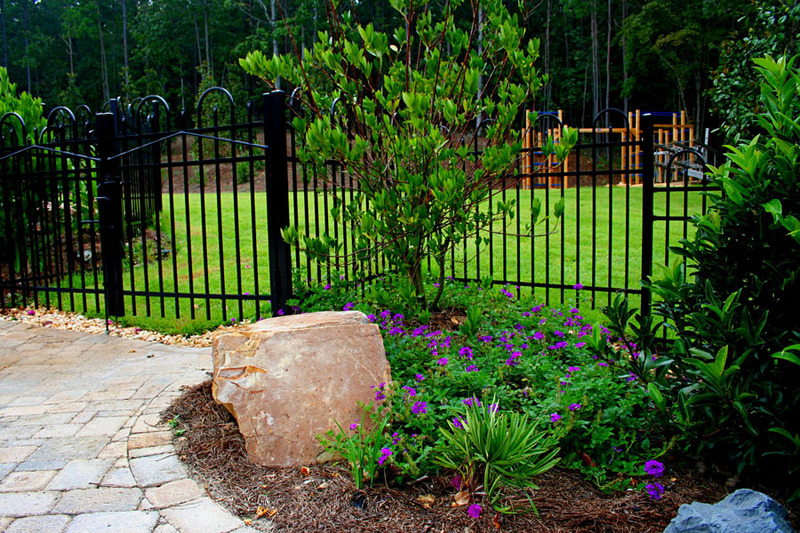 All the fences and gates shown in this section were designed and built by John Russell Landscape Architect, Inc.